Yesterday's post was of a brown and pink outfit. These are accessories from a separate day when I wore the same palette. Told you I liked it! Buttefly Brooches are the Best! Gift from my mom. Beaded cuff bracelet was gift from my old roommate, Rene. 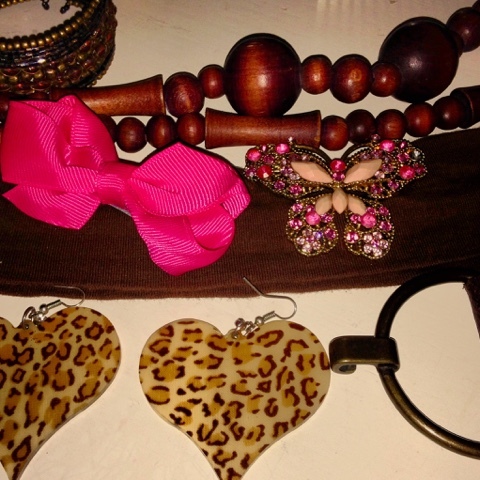 Leopard print earrings and hair bow from dollar store. Wooden necklace was my Aunt Betty's. Belt from Boomerang's thrift store in JP.